RE/Search will be there for all your alternative culture needs! A pair of Silicone lungs breathe from a radio signal bounced off of audiences breathing chest. Bellows is triggered causing lungs to inflate and deflate. The exhale of the lungs provides breathe for a Pipe organ giving voice to breathe. 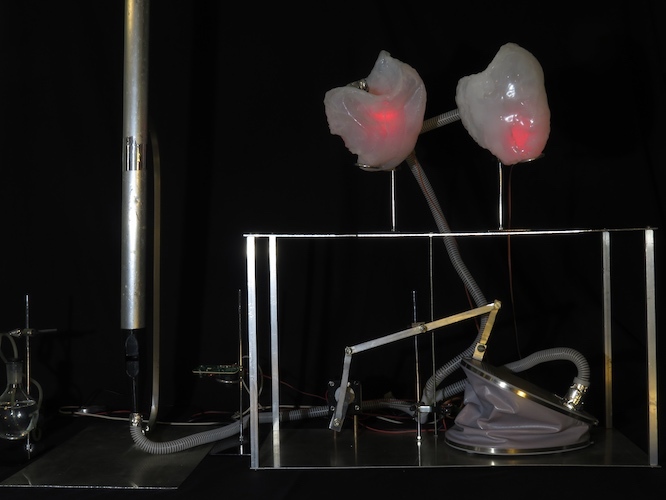 These are artificial human lungs that breathe mimicking the audiences breathe, expanding and contracting with each breath. Each interaction is unique according to the output from the volunteer's data. The air exhaled will breathe life into a 3-D printed Pipe Organ. It's various notes and tones registering the changing breath of the audience and particulate contamination in the air. This project, with it's visceral connections to life, aspires to humanize technology through a poetic and engaging assemblage of machines, materials, and metaphors. I am unlocking the mysteries of universe while honoring and referencing the value of science. I hope to articulate the experience of existence and reality while incorporating scientific reality in this era when the sciences under attack. For 38 years, Kal Spelletich has been exploring the interface of humans and robots, using technology to put people back in touch with real-life experiences. His work is interactive, requiring participants to enter or operate his pieces, often against their instincts of self-preservation. He probes the boundaries between fear, control and exhilaration by giving his audience the opportunity to operate and control fascinating and often dangerous machinery. Flying cars have never been raced and that must change in order to accelerate development. Dezso Molnar will outline a racing series and explore some of the existing vehicles and new machines in development. Dezso Molnar invented the Gyrocycle; a flying motorcycle. He was the crew chief for Craig Breedlov's "Spirit of America" land speed team, built and tested rocket planes for Rocket Racing League, was a judge for the X Prize, and at Truax Engineering, helped develop the first private rocket ship intended for manned flight which evolved into the SEALAR program at Naval Research Labs. Separately, he developed the pulse jet engines used by Survival Research Labs. In the music field, Dezso invented and sold the Mixman DM2 remixer to Atari and Mattel, has written and recorded music, and designed the audio program at Idealabs' "Blastoff"; the foundation of the Google Lunar X Prize. Currently Dezso is forming the "Flying Car Racing League" as a new motorsport, and building an electric flying car for racing and exploration. If we demand to live in a world that expects art to be then we live in a world that embraces the artist and what it takes for them to be. Amy Critchett in a producer, innovator and Artrepreneur. As Executive Producer for Leo Villarea's largest artworks to date, the iconic The Bay Lights and the soon to be unveiled 15 bridges on London's River Thames, Illuminated River, Amy builds community, grows international awareness and assembles world-class teams to produce the complex and highly creative artworks. She is the founder of Art And Audience a company creating opportunity around the talent and the content that abounds in the contemporary art world and co-directed the launch of ZeroOne: The Art and Technology Network and its biannual international arts festival. Amy was part of the initial team that launched and built WIRED Magazine, later holding Executive Producer posts at cutting-edge convergence cable startups ZDTV and Oxygen Media, followed by roles as Director of Marketing for online leaders One Economy and Uth TV and Business Development for the start-up TCHO chocolate. 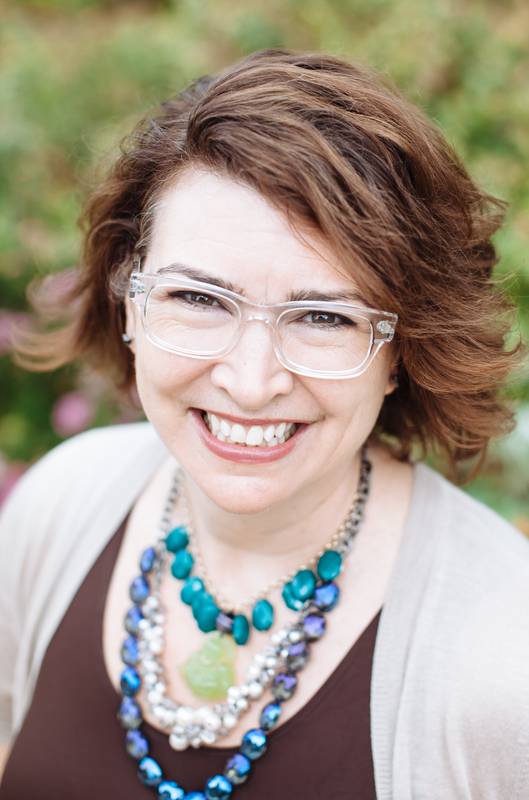 As Principal of AC Eclectic Creative Services Worldwide, her clients include The Lexicon of Sustainability, LiteracyWorks!, Chip Conley, the Institute for the Study of Knowledge Management, Linden Labs, NASA and Woolsey For Congress, WIRED Next Fest, ABC Sports, SGI, NIKE and The Webby Awards.